2,500 women need to be recruited into senior positions to enable signatories to the Women in Finance Charter to reach their targets - The 2019 WIFC annual review. E2W have been at the centre of WIFC since its inception. We helped the treasury roll the charter out to the initial group of signatories and our CEO Mark Freed has sat on the industry board for the last two years. 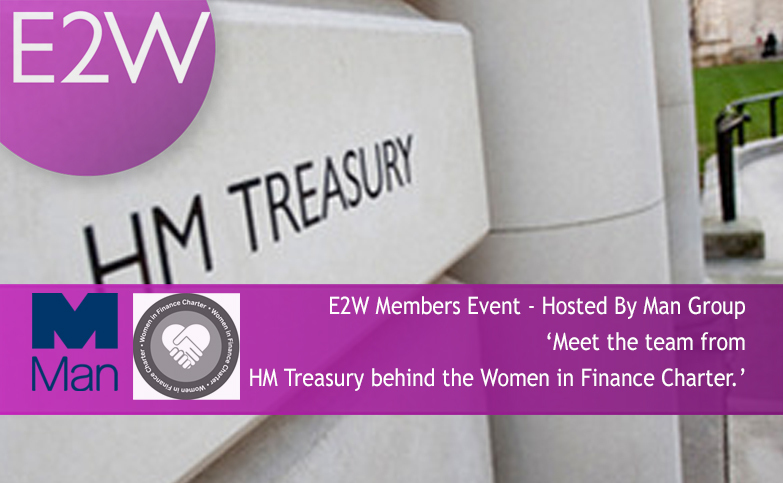 Our friends in the team who run the WIFC at the HM Treasury are very keen to hear from and understand the challenges faced by real women working on the front line of financial services, E2W Members. They have asked us to manage a round table, to enable them to do this. They want to understand the impact the charter has had on your career and at your place of work. The HM Treasury team will be delighted to answer your questions on the future direction of the WIFC. Are you an E2W Member? Can you contribute to the debate? If you would like to attend, then please apply for one of the tickets by registering using the registration process. Due to the size of the ‘table’ we are limited in the number of attendees and therefore selection will be based on experience and knowledge relating to this issue. Please contact Katie with any questions.